Don’t keep Skeletons your little secret…make no bones about it! T-shirts, tote bags, magnets available now…other gear coming soon. Make great gifts for that hard-to-buy-forDisneyPark fan that has everything! 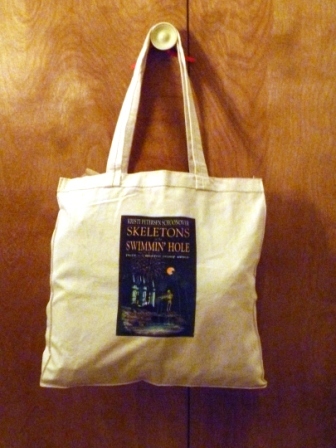 Posted on September 7, 2011, in News, Skeletons in the Swimmin' Hole -- Tales from Haunted Disney World and tagged Disney Parks, Disney T-shirts, Disney Tote Bags, T-shirts, Tote Bags. Bookmark the permalink. Leave a comment.